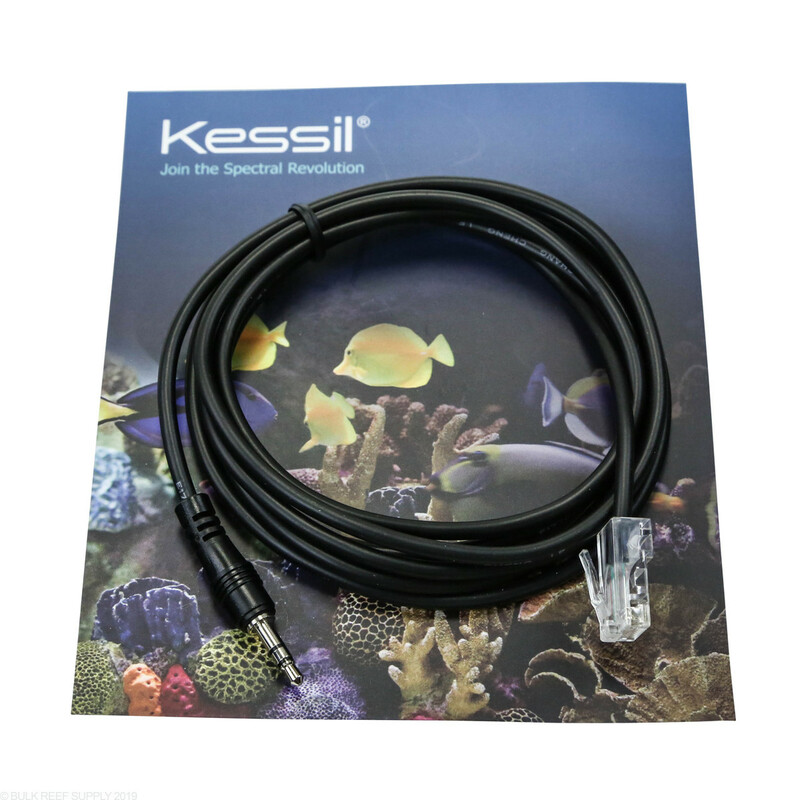 Use the Kessil A360/A160 Neptune Apex Control Cable to connect your Kessil 360 (A360N/360W) or A160 LED lights to your Neptune Systems Apex controller. 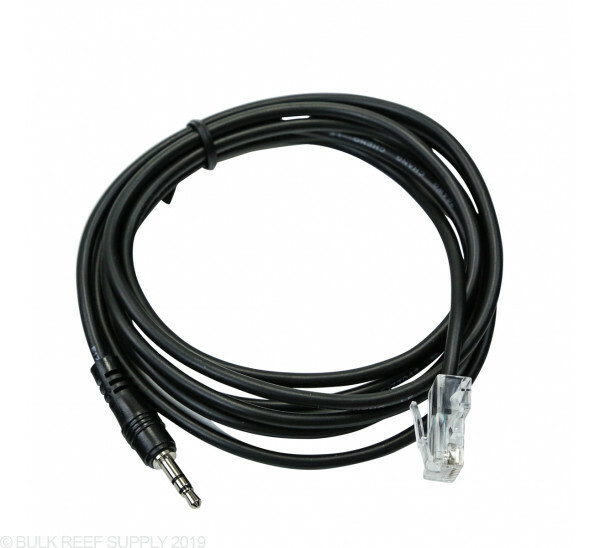 Cable is at least 3 ft too short to be useful for anyone with a medium or large tank. I will have to get an extension at a local electronics store because $20 more for a cable that's worth about $5-7 at most is ridiculous. Kessil has a nice scam going here to milk as much money from customers as possible. This cable should be at least 10 ft to be a fair deal. This cable does what it says it will do. For that it gets 3 stars. However, because the cable is only 4' or so long, if you have a larger tank it is not long enough. You will need an extension. Had Kessil made this 2 foot longer it would have been perfect. Also, Do yourself a favor and do not buy the Kessil extension for 20 bucks. This is a simple 1/4inch headphone extension that can be found anywhere for half that. I used this wire to connect my VarioS 8 to the variable speed port of my Apex controller...it worked. Not much more to say. This product works exactly the way it was supposed to. Satisfied customer. BRS awesome experience as usual. As far as the product, $20 MAP price for this is absurd given the short length. Almost guarantee they only made it this short so more people have to buy the extension cable for another $20. This extension cable is NOTHING more than a stereo mini-headphone extension cable available on amazon for less than $5. I love my kessil lights, but this is nothing other than highway robbery. I would only recommend this to people that don't have the ability to DIY a cable. This is my first Apex and used it to hook up my Kessils. It was the perfect length for me and was easy to use. Works as expected with Neptune Apex. Had to buy an extension to connect it up. It connects your Kessil to the apex but is too short for what I would estimate to be most needs. My tank is a 36 inch cube with the apex about a foot to the right of the tank. I had to buy an extension cord to reach my apex. I took off 2 stars based on it being unusable for all but the smallest tanks due to length. Works as described. As others suggest, connection length options would get the fifth star. Cable works great but needs to o be offered in longer lengths. If you have a nano or cube you should be fine. Any larger tanks say 4 to 6 feet long your in trouble. First off you use up 2' on the gooseneck so that leaves 4' to make it to your vdm ports so if you mount it up under the back of your tank you'll be okay but most of use don't want any of our apex stuff right over the sump duh! I had to buy extensions which I did not buy the Kessil ones wow they are not cheap. Once again getting nickel and dimmed for extra stuff. I bought three extensions for way less than Kessil ones. What would make these cables perfect from the start would to offer in different sizes or just a larger size such as 6' 10' or 12'. In fact why not just make them all 6' or 12' I mean seriously when your already making the wire what would it cost to add a couple feet, cents. I almost feel like they are wasting money making extension cables and they could save us customers money by thinking this out better. Let see spend a few more cents to make it longer or charge a rediculas price of 19.99 for an extension cable. I bought some bad a extension cable on Ama for $8 each. Cable works exactly as described to control a Kessil light from an Apex controller. Like others said it could be longer, but it's easy to find a simple 3.5mm headphone extension cable to solve this. This cable was used on an Innovative Marine Fusion 40 and had more than sufficient length in this environment. Good, tight connections at both the RJ45 and 3.5mm ends. Jacket seems sufficient to withstand use in its intended application, too. What control unit do you need to plug these into the apex on do you need the VDM unit for the apex to use this cable from a kessil to these? These interface between the Kessil A360 and the Neptune VDM ports. You don't necessarily need to have a VDM module as the standard Apex system has two VDM ports built right into it. If you don't have the standard Apex or are already using the two VDM ports then you would need an additional VDM module. Is the VDM module required for this to plug into or does it plug directly into the base unit? It depends on what Apex you have. The standard Apex has VDM ports built right in. If you have either the Apex Lite or the Apex Jr. then you will need the VDM module. Will this cable allow dimming of a Kessel 360w when used with the apex system? That is exactly what its for, assuming you have an Apex system with an available VDM port (standard on all the normal apex's but would be an additional module if you have the apex lite). 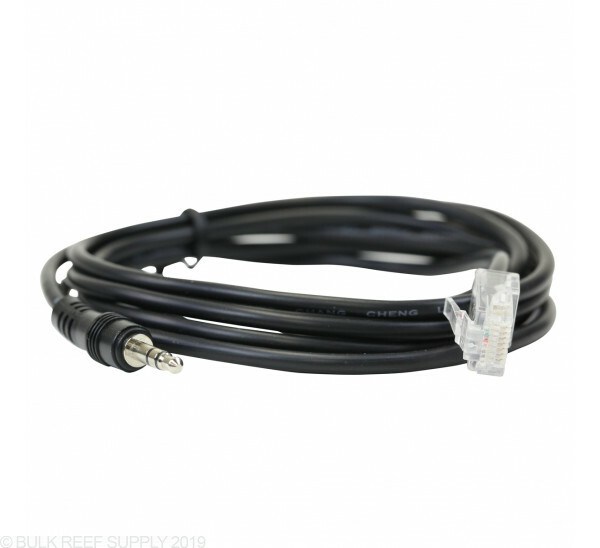 Do you need two of these cables if you want your APEX to control two lights? Or do you buy the daisy chain cable and one of these? If you want each light to be controlled separately, then you would need two cables. If you want each light following the same schedule you can control the first light via the Apex and then daisy chain the second light to the first. Does this work with the Kessil A80? 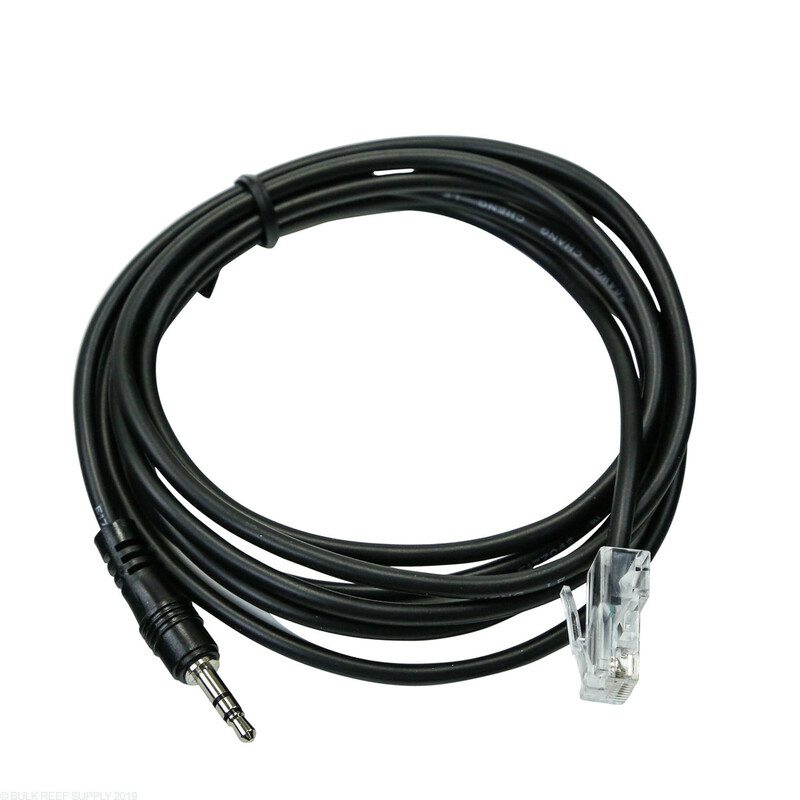 This cable is compatible with the A80 lights for Apex control. Will this work on the reef octopus variable speed pump to a vdm? The Kessil to Apex control cable can be used with the Varios pumps to provide variable speed control. Where on the controller do I plug the cat 5 cable into! The Apex 2016 will have a pair of 1-10v reference ports on the head unit itself, towards the bottom right on the base. You can plug your Kessil to Apex control cables in either of these ports. 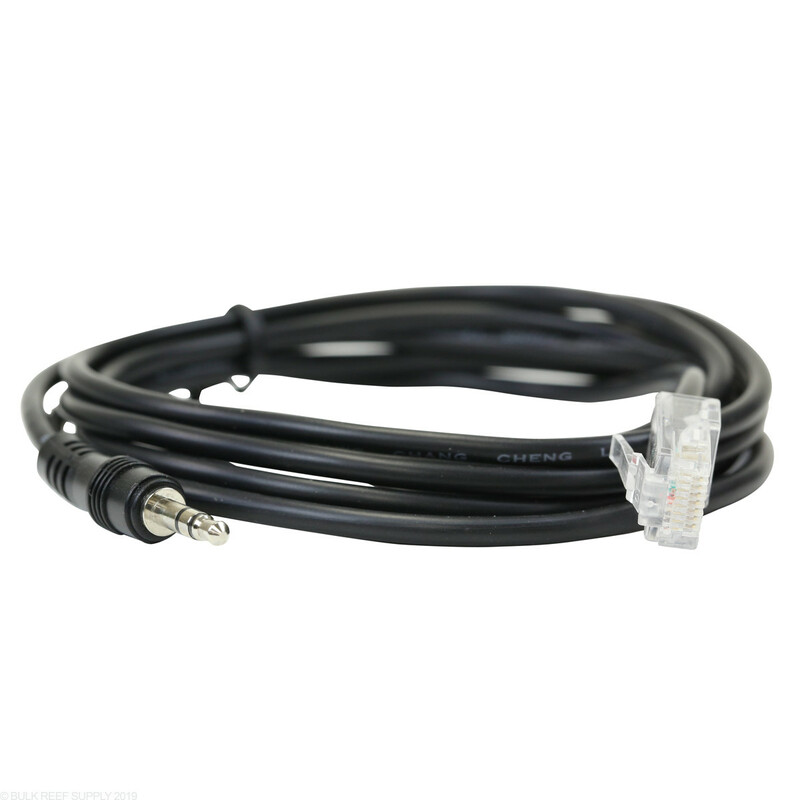 Will this cable work with the Jecod / Jebao AK-60? It looks to have the same inputs as the kessil. We are not familiar with the jebao pumps and cannot say for certain. The kessil side is a standard 3.5mm headphone jack. Can this be conected to the unit link cable extention cable in the event that the apex control cable isn't long enough? 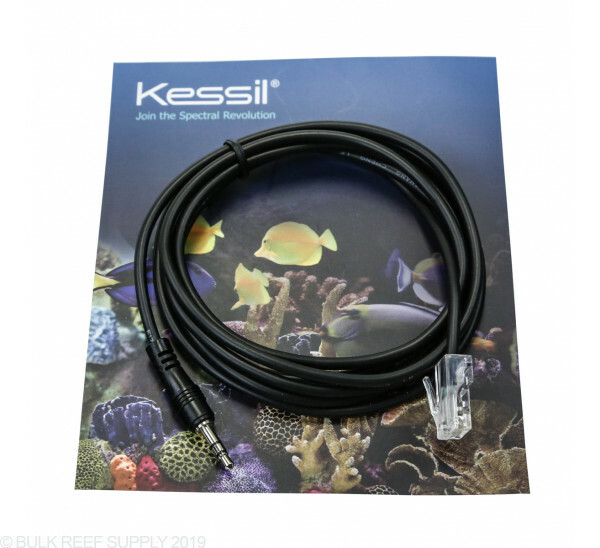 Yes, you can connect a unit link extension cable to the Apex to Kessil cable if you need to extend the length. Does this work with the H380 refugium light? While this will plug into the ports on the H380, currently the Apex is only be able to control the ON/OFF functionality of this light through the outlets. This light does not work with the 0-10V variable speed ports.